Today I'm participating in an amazing cause! 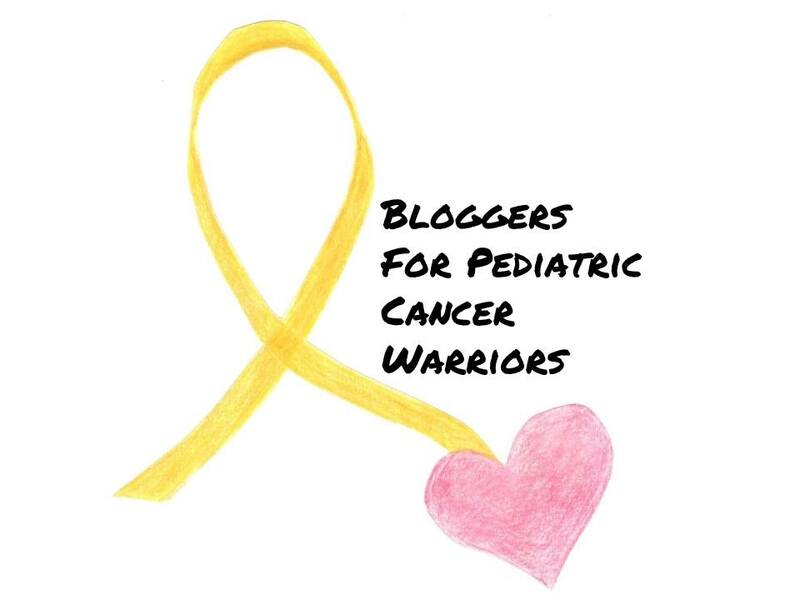 I know many of us know the horrors of Cancer, if experiencing it yourself, or watching a loved one go through it. And seeing a child go through it is even more heartbreaking. So when Shawna from Troops To Tots posted about doing a blogging fundraiser for American Childhood Cancer Organization I was completely on board! There are a lot of amazing prizes to be won along with tons of awesome items up for auction. The auction will go on Oct 27-28th and will be held on Facebook, so come join the group and if you care to share it, we would be forever grateful! I'm sharing two of my donations for the auctions today. 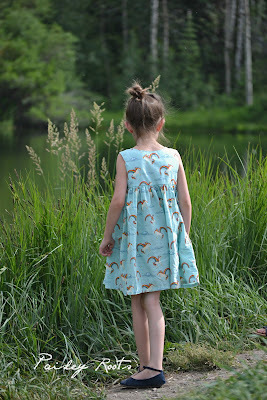 First up is a Mermaid dress in Riley Blake Fabrics, made in a size 4. I used the Desert Rose Dress pattern by Caila Made. There are no closures, zippers or buttons to deal with. This dress easily slips on and is great for kiddo's to dress themselves. 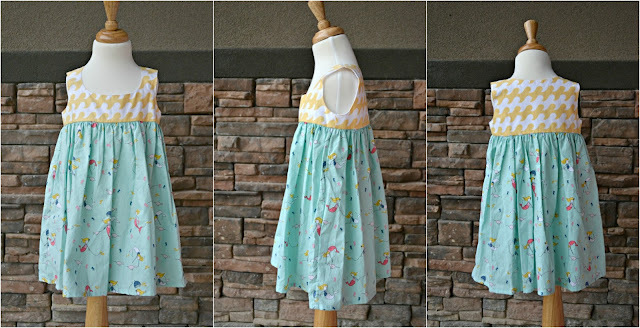 It's one of my favorite dresses to make the girls in the summer. 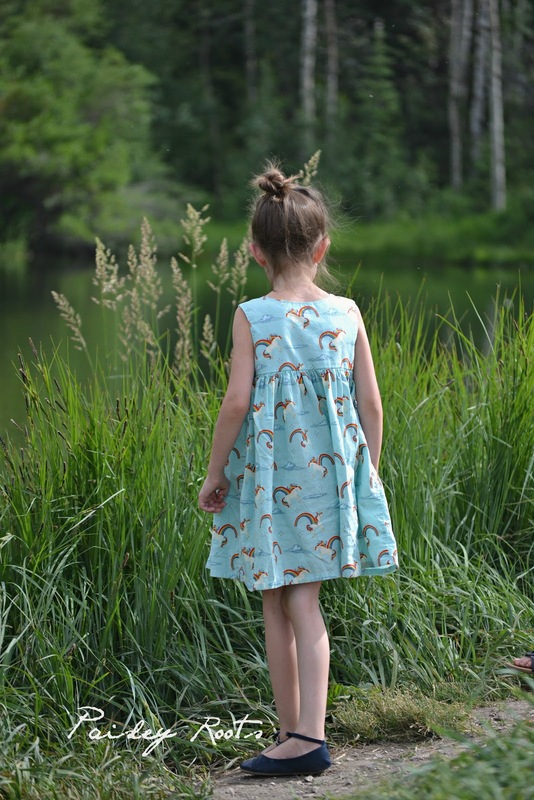 Our unicorn dress got so much wear last year! Next up is a Skipper top, pattern by Sew Much Ado, in size 4 made in Skopelos Paporounes in Crimson. I seriously love this fabric. 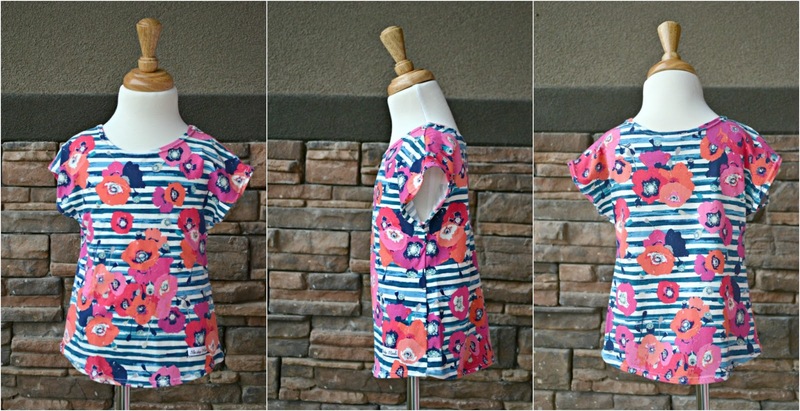 This pattern is also available on UpCraft Club, which happens to be our sponsor today and are going to be giving away a $20 gift certificate to one lucky reader, so head over to Kaleidothoughts to read her post and enter the giveaway! And make sure you don't miss out on the Auctions! They're for such an amazing cause! Giveaway is the book “Building Block Dress” by Lisel Gibson of Oliver & S.
Thanks for joining us Karly!